When are LLC members subject to self-employment tax? - Van Beek & Co.
Limited liability company (LLC) members commonly claim that their distributive shares of LLC income — after deducting compensation for services in the form of guaranteed payments — aren’t subject to self-employment (SE) tax. But the IRS has been cracking down on LLC members it claims have underreported SE income, with some success in court. Self-employment income is subject to a 12.4% Social Security tax (up to the wage base) and a 2.9% Medicare tax. Generally, if you’re a member of a partnership — including an LLC taxed as a partnership — that conducts a trade or business, you’re considered self-employed. General partners pay SE tax on all their business income from the partnership, whether it’s distributed or not. Limited partners, however, are subject to SE tax only on any guaranteed payments for services they provide to the partnership. The rationale is that limited partners, who have no management authority, are more akin to passive investors. 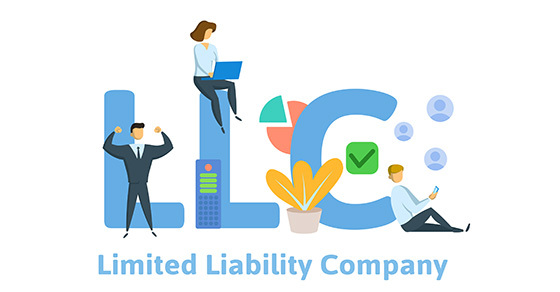 Over the years, many LLC members have taken the position that they’re equivalent to limited partners and, therefore, exempt from SE tax (except on guaranteed payments for services). But there’s a big difference between limited partners and LLC members. Both enjoy limited personal liability, but, unlike limited partners, LLC members can actively participate in management without jeopardizing their liability protection. Arguably, LLC members who are active in management or perform substantial services related to the LLC’s business are subject to SE tax, while those who more closely resemble passive investors should be treated like limited partners. The IRS issued proposed regulations to that effect in 1997, but hasn’t finalized them — although it follows them as a matter of internal policy. Some LLC members have argued that the IRS’s failure to finalize the regulations supports the claim that their distributive shares aren’t subject to SE tax. But the IRS routinely rejects this argument and has successfully litigated its position. The courts generally have imposed SE tax on LLC members unless, like traditional limited partners, they lack management authority and don’t provide significant services to the business. The law in this area remains uncertain, particularly with regard to capital-intensive businesses. But given the IRS’s aggressiveness in collecting SE taxes from LLCs, LLC members should assess whether the IRS might claim that they’ve underpaid SE taxes. Those who wish to avoid or reduce these taxes in the future may have some options, including converting to an S corporation or limited partnership, or restructuring their ownership interests. When evaluating these strategies, there are issues to consider beyond taxes. Contact us to discuss your specific situation.